NEW YORK -- Hedge fund executives were charged Monday in a $1 billion fraud case linked to an oil rig explosion in the Gulf of Mexico that killed three workers and injured several others. Mark Nordlicht, a founder and chief investment officer of Platinum Partners, and six other defendants were named in an indictment accusing them of lying to investors about the performance of a fund that ran into trouble when one of its largest assets, the Black Elk oil exploration company, had a rig explode in 2012 off Louisiana. Nordlicht, 48, of New Rochelle, New York, pleaded not guilty securities fraud conspiracy and other offenses in federal court in Brooklyn. He was to be released on $5 million bond. Authorities accused Platinum of falsely reporting an average of 17 percent returns while collecting more than $100 million in fees during a conspiracy that cheated investors out of $1 billion. When investors began to ask for their money back, the hedge fund paid them with new investments and internal loans, U.S. Attorney Robert Capers said at a news conference. "There is a Ponzi-esque portion to this scheme," Capers said. After the oil rig explosion, Black Elk "was under severe stress and lacked the necessary cash flow and profits to justify Platinum's $282 million valuation," the indictment says. The company struggled to "to find the liquidity to pay redemptions, in large part due to the overvaluation of Black Elk," it adds. The evidence includes emails between Nordlicht and others that "illustrated their knowledge and awareness of the fraudulent scheme perpetrated on Platinum's investors and prospective investors," the indictment said. As the New York City-based hedge fund began to go under in December 2015, Nordlicht wrote that he was thinking about using $7.5 million from a second mortgage on his home to try to keep it afloat, the papers say. He also was considering fleeing the country, they say. "Am on my way to JFK with the kids for their 6 p.m. flight to Israel," he wrote in one email, according to the indictment. "My wife is literally making me get on Israel flight if we don't connect and agree what we are doing." One of his cohorts responded: "You should get on the flight if there is no bridge (loan), probably even if there is." Another Platinum executive was arrested in an unrelated case last spring and charged with paying kickbacks to the head of the union that represents New York City jail guards in exchange for investments. 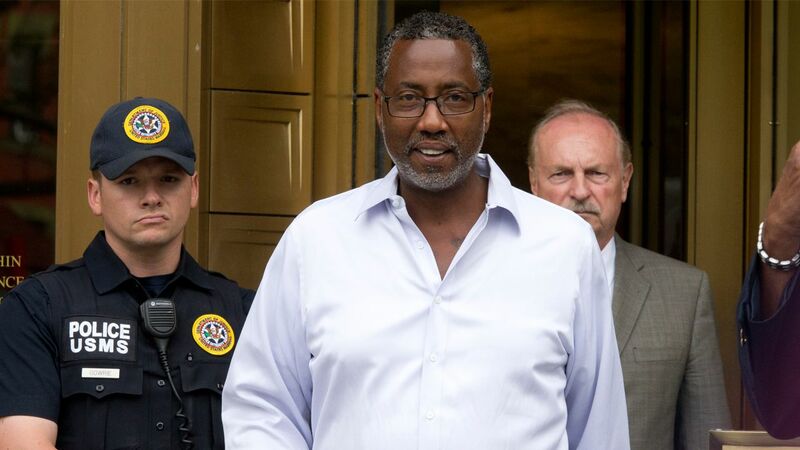 Former Correction Officers' Benevolent Association President Norman Seabrook pleaded not guilty last year to charges he steered $20 million in union pension money to Platinum Partners in 2014 in exchange for a $60,000 bribe. The Black Elk platform was located about 17 miles from Grand Isle, Louisiana, in about 50 feet of water. It was shut down for maintenance and was not producing oil at the time of the Nov. 16, 2012, explosion. Platinum representatives did not immediately respond to a comment request.